In a knowledge-based economy, intellectual property (IP) is becoming increasingly important in promoting business development. Intangible IP assets can be as valuable as tangible assets, and enterprises should build, manage, value and leverage them strategically to drive growth. 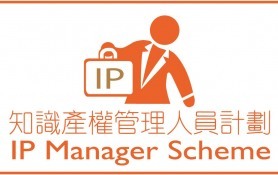 The Intellectual Property Department has launched the “IP Manager Scheme”, which aims at assisting Hong Kong enterprises, especially small and medium enterprises (SMEs) to build up their IP manpower capacity and to increase competitiveness through IP management so as to grasp the opportunities brought by IP trading. Click here for the list of partnering organisations. (c) Lowering the costs of IP management through the provision of basic IP management training, thereby enriching the human capital. Enterprises should appoint a staff member in a managerial position as their in-house “IP Manager”, who will be responsible for overseeing the compliance, management, exploitation and commercialisation of IP assets. The “IP Manager” should enroll in the “IP Manager Training Programme” which will be conducted by IP professionals. *This workshop only accepts non-IP intermediaries*. Applications from enterprises which are law firms or providing IP intermediary services will not be accepted. Click here for the promotional leaflet.